LENKR V1 WALNUT BIKE HANDLES | muted. Looking to have the ultimate riding experience? 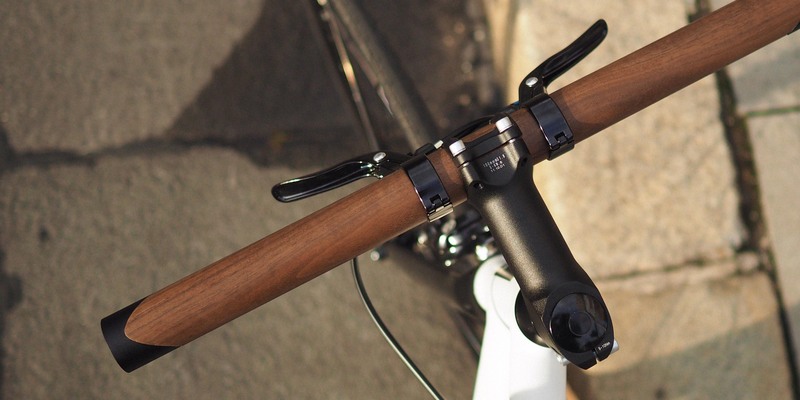 Style up your bike with the LENKR – V1 WALNUT Bike Handles ($209), a wooden unibar handle, designed for the urban minimalist. Crafted from walnut, each handle bar is completely unique, thanks to the natural grain. What’s more, the unibar boasts an aluminum core, which absorbs any vibrations and ensures you enjoy a comfortable ride. The LENKR – V1 WALNUT will fit almost any standard suspension and will enhance your fixie bike with timeless charm. At just 285 grams, it’s very lightweight, making it a practical, as well as stylish addition to your favorite ride.